Sample Provided By: Derek, USA. Many Thanks! Nose: Rich and Intense. It certainly reminds me of a ripe Bourbon with tones of Pine Resin, Charred Oak, Vanilla, Cinnamon, Wood Polish, Orange and Cherries. 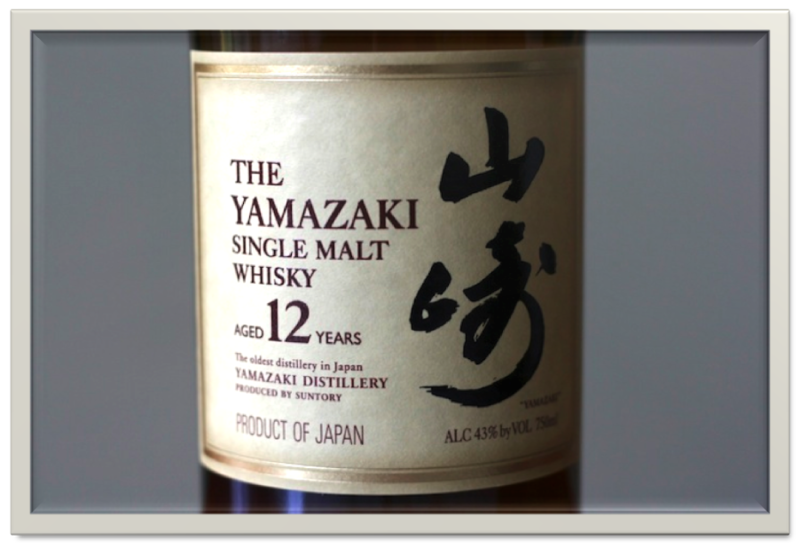 But there's much more to discover in this Yamazaki. The Oak is very present but not in an overwhelming way. Quality Casks for sure and the Mizunara Oak adds a few nice aromas like Apples and Spices. Some Sherry notes as well but quite in balance with the other aromas. I also find Black Currants, Mandarin, Lemon, Honey, Herbs, Nuts, Dried Fruits, Malt, Butter Kekse (German Butter Biscuits), Clove, Salt and hints of Espresso Coffee, Orange-Flavoured Dark Chocolate, Leather and Old Cigar Boxes. The Alcohol is sufficiently integrated. Without any doubt this is one of the best Noses I have encountered so far. I'm happy just to smell this Single Malt! Palate: Good delivery although I feel that an ABV of 46% would have been perfect for this Yamazaki. The Oak is much more present now. I also find Dried Fruits, Nuts, Brown Sugar, Vanilla, Molasses, Rum, Orange, Mandarin and Spices like Pepper, Nutmeg, Clove and Cardamom. Hints of Sherry, Bourbon, Earth and Floral Perfume. Finish: I would have liked to see a longer Finish. This Yamazaki deserves that. It's quite Dry towards the end. I find Oak, Cooked Dark Red Fruits, Pepper, Nutmeg, Clove, Aniseed, Caramel, Orange Flavoured Tea, Dusty Roads and hints of Cigar Ash and Espresso Coffee. With added Water, The Nose gets extra Malt, Butter, Apricot, Menthol, Orange Marmalade, Floral tones and Honey. Palate and Finish do not benefit from the extra Water. Derek's Bottle and the Sample! General Remarks: The first malt whisky distillery in Japan was constructed by the Suntory Founder Shinjiro Torii in 1923 in the Yamazaki Valley close to the city of Kyoto. The place was chosen because its water, soil and climate were similar to Scotland. It was the first distillery of this kind outside Scotland and it used copper pot stills. 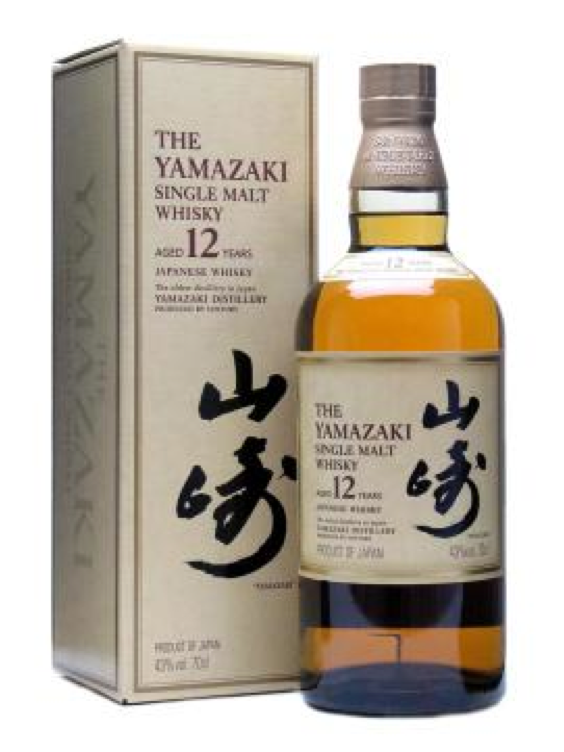 Today the Suntory Yamazaki is the most popular Single Malt in Japan and it is exported to more than 25 countries. Since 1972 Suntory is importing its malted barley from Scotland and Australia. The spirit is aged in a mixture of casks from American -, Spanish – and Japanese Mizunara Oak. The 18 Years has won many prices since its introduction. It's not cheap and its price varies between 150 and 250 US Dollars, depending on the location. Drinking Experience Neat: Very Good. I love the Nose. The Finish is on the Short Side. 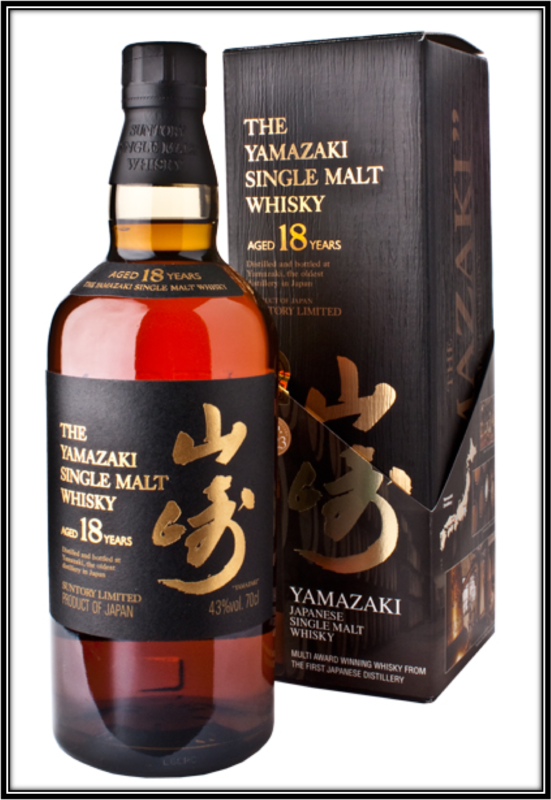 Conclusion: The Yamazaki 18 Years makes it very clear that great Whiskies can be produced outside Scotland as well. This is without any doubt a quality Malt that matured on quality Wood. I really love the Nose of this Single Malt. It's rich and intense and you keep discovering new Aromas with each little sniff. I nosed this one for about 1 hour and it still kept me interested. It's almost a pity that you have to taste it as well. Because the Palate misses the great balance I found on the Nose. Here the Wood starts to dominate a bit. The Finish could -and perhaps should be Longer. I also feel that a slightly higher ABV of around 46% would have further enhanced this Single Malt. 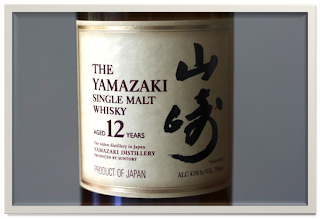 Despite these few - and minor observations, the Yamazaki 18 Years is a great Whisky that should be savoured on special occasions. I imagine it would combine extremely well with Orange Flavoured Dark Chocolate. Nose: Crisp and not too heavy. Malt, Cherries, Light Peat, Cinnamon, Blossom and Quality Oak are the first impressions followed by Honey and Tropical Fruit (Banana, Coconut and Pineapple). A bit of Alcohol but certainly within limits. Dried Fruits. The Honey and Floral tones on the nose are similar to Speyside malts. But with the Yamazaki we get Tropical Fruits instead of Sherry and the Wood is certainly different. Still, it would be difficult to keep them apart at a blind tasting session. Taste: Strong delivery thanks to the 43%. Sweet Grain, Honey, Toffee and Dry Oak with Cinnamon, Cloves, Ginger, Nutmeg and Pepper. A whisky to chew on! The strong presence of Fine Oak sets this whisky apart from others tasted so far. Finish: Sweet at first but dry towards the end. Honey, Apple and Oak. Very faint Peat and Ashes. Notes of Tea, Nuts and Tobacco. White Pepper to finish it off. But it all fades away too fast unfortunately. When adding a bit of water, the Floral tones and Peat start dominating the nose. The palate becomes very smooth and honeyed and the Oak disappears to the background. I prefer it straight but you can certainly experiment with a bit of water. Just never overdo it! 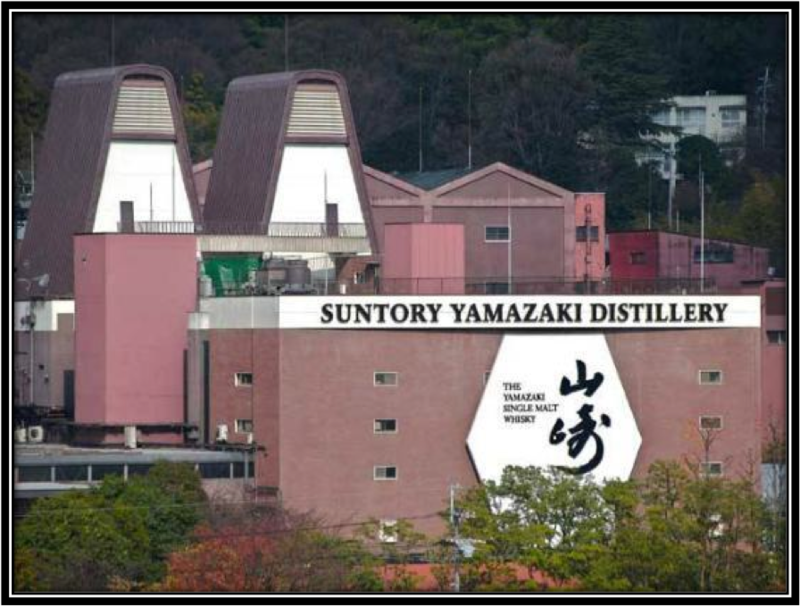 General Remarks: The first malt whisky distillery in Japan was constructed by the Suntory Founder Shinjiro Torii in 1923 in the Yamazaki Valley close to the city of Kyoto. The place was chosen because its water, soil and climate were similar to Scotland. It was the first distillery of this kind outside Scotland and it used copper pot stills. Today the Suntory Yamazaki is the most popular Single Malt in Japan and it is exported to more than 25 countries. Since 1972 Suntory is importing its malted barley from Scotland and Australia. The spirit is aged in a mixture of casks from American -, Spanish – and Japanese Oak. 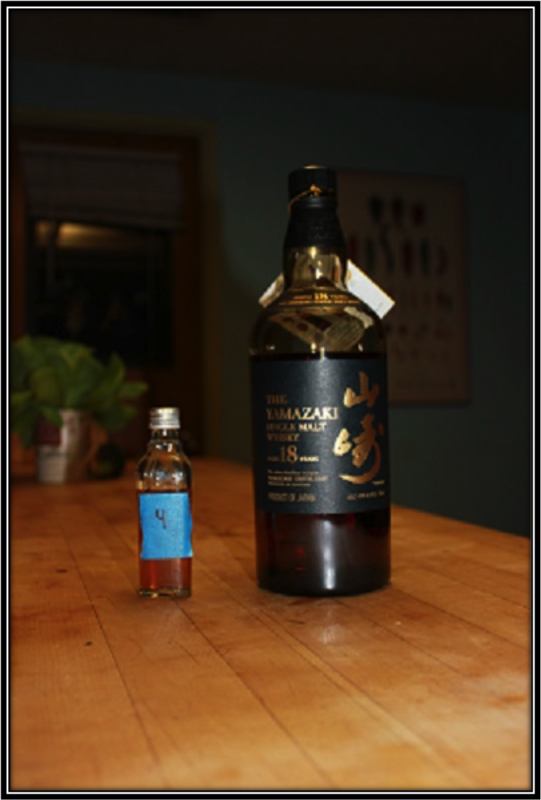 Conclusion: It doesn’t happen a lot but the Yamazaki 12 Years scored better on the palate than on the nose. The nose is crisp and tropical along with Speyside Blossom and Honey, but it’s the palate that steals the show combining rich sweet Honey and Toffee with a handful of Spices and a first class dry Oak. Nice combination. The finish is dry and agreeable but way too short. What stands out in this Single Malt is the Wood Quality. If you like the Balvenie DoubleWood 12 Years or Glenmorangie Original 10 Years, you really should give the Yamazaki a chance although it is more expensive!